My sister is one of my favorite people. She has been my friend longer than anyone I know. She knows most of my secrets :-) She is one of the first people I want to talk to when I have something great happen to me or when something devastates me. I moved to Bellingham because of my sister. She and her family have lived here for over 15 years. I wanted to be close to her and her kids, so in 1998, I moved here. I have never regretted that decision. Although I left behind my dreams of being a stage actress in Chicago, and possibly moving to New York to pursue Broadway, I have been blessed beyond what I could have ever dreamed by choosing to move here instead. My sister is one of those people who push you to be a better person. Sometimes I love her for that - other times, not so much. But if there is someone other than my husband who challenges me to set my limits high, it's her. It is one of the reasons why I love spending time with her. When we get together, it's like we are teenagers again (boy, does that feel good). We laugh, we reminisce, we make fun of each other. Basically, have a good time. Rarely do we get more than a couple hours together (that is usually with kids), but this past weekend, we got to spend the entire weekend in Seattle having a "Girls Weekend." I had been looking forward to it for a few weeks. We went shopping, ate delicious food, went to a late movie, and stayed up way too late talking and laughing! This is us eating dinner at PF Changs - delicious!! The chicken lettuce wraps there are mouth watering - I am salivating just remembering them! 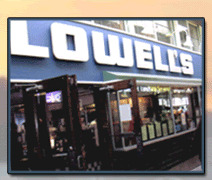 This was us at breakfast on Sunday morning at Lowell's - a popular restaurant in Pike's Place Market. The food was fantastic, but the view was amazing. We had the perfect view of the bay and of the ferries coming in and going out. What a beautiful place we live in. We got some great deals while shopping, hung out with some good friends, but mostly, I just enjoyed being with my sister. Lately, I have been trying to teach my children that as siblings, they will be each others life-long friends. They will be together and share life together long after I am gone, so they not only need to love each other, they need to like each other. Seester, I love you - and I like you, too! I look forward to a lifetime of friendship, laughs and girl time! I tell my daughter regularly that she should be nicer to her big brother because he is the best friend she will ever have. At 5 years old she is still skeptical.